Dennis Argall: Also from Liz, an introduction to Scrivener. 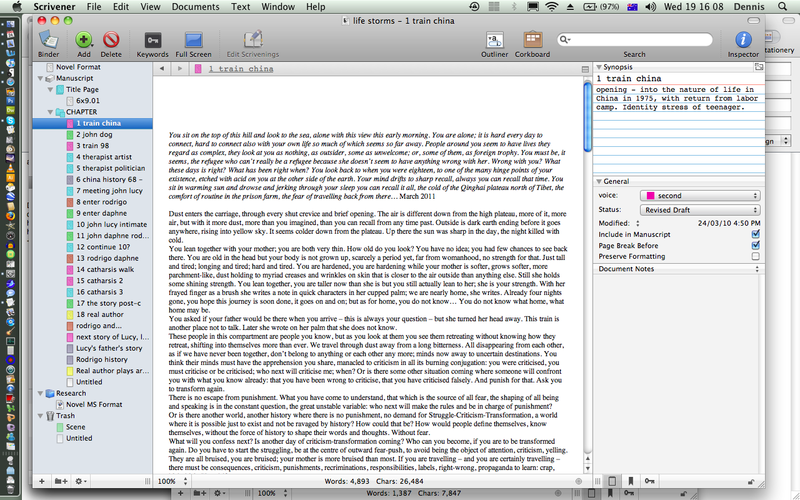 Also from Liz, an introduction to Scrivener. It is wonderful to use Skype to communicate around the world and I have now discovered the great value of sharing desktops with Skype. That is, in explaining the writing application Scrivener, Liz was able to show me her computer desktop and how she was using Scrivener. 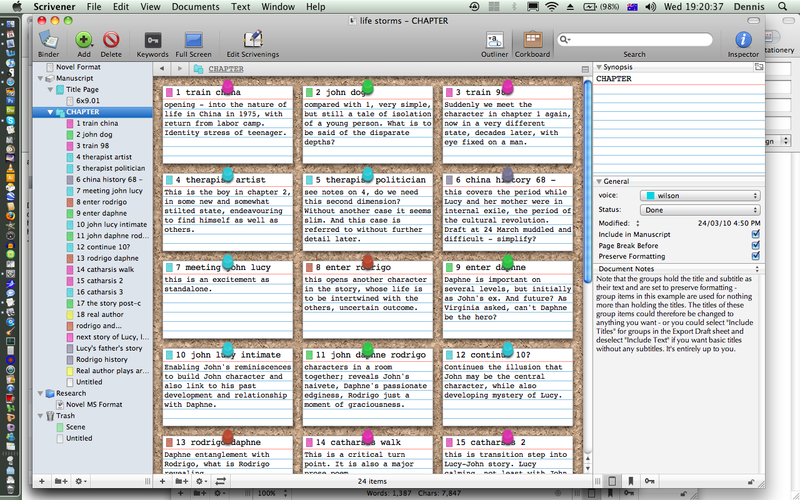 And so I am pleased to report that I have today begun a 30 day trial use of Scrivener. I am not good at making general notes, or actual cards with concepts for what chapters will do. but in several hours I have placed the text of my novel so far into Scrivener and been able to produce in the appropriate space on screen, a note on what each chapter is supposed to do... and sketch out some next chapters. I have added labels, to indicate the kind of voice and point of view each chapter has, and this means order of a kind I have wanted, and a way to make notes and actually push the text in possible directions. You can click on the first thumbnail image for it to enlarge so you can see a screenshot of the situation after just a beginning. It is the order I need to go forward. The second screenshot shows what happens when I press on the 'corkboard' button... maybe, maybe, the corkboard, but more to the point the main work setup is a great start. The corkboard does display with clarity the colours which denote different voices, so I can get a sense of the balance of that easily with it. This is a Mac application only, there is a link in the bottom right of the home page of Scrivener to a suggestion for Windows users. 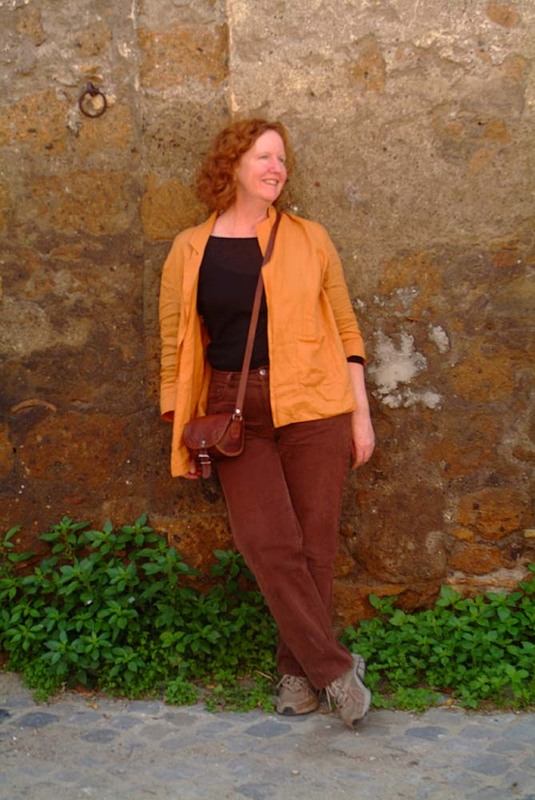 Back from Italy and resuming course[s]!